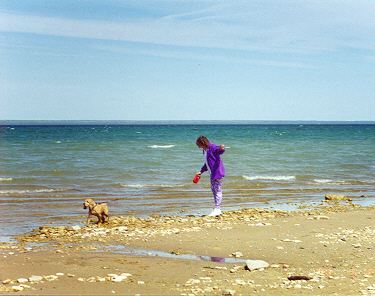 Here are a few pictures of Gabby's second vacation to Mackinac Island. The weather wasn't as pleasant this time. It was cool, windy, and rainy for the most part. Gabby had fun anyways. He loves watching the horses. 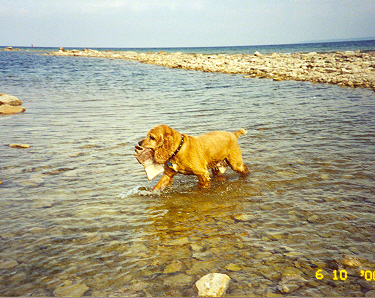 Gabby was able to spend some play time in the water. While we went on a site seeing trip on bicycles Gabby followed us on foot. I didn't have to peddle I used Gabby-power. 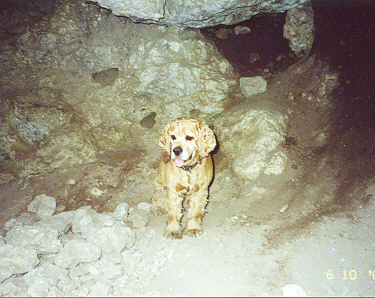 Along the way we stopped at Skull Cave and I took Gabby's picture while he explored the inside of the cave. 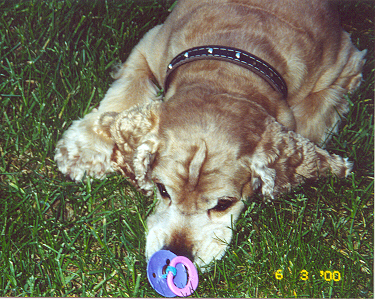 The first picture is Gabby with his baby pacifier. 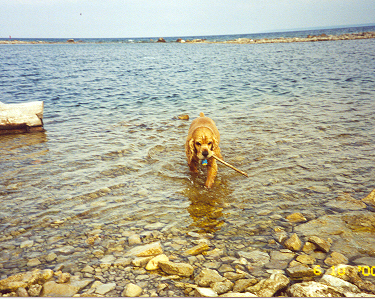 He found it on one of his daily walks. 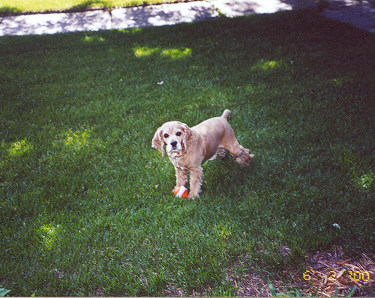 Here is another picture of Gabby in the front yard playing with his squeaky ball.